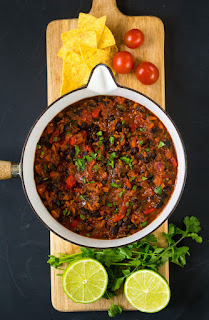 I'll be honest with you, I wasn't always a black beans fan, but now they are one of my favorite ways to replace protein in a meat-free meal. We have black bean quesadillas with salsa and guacomole almost once a week. 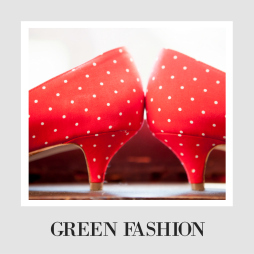 It is our go to. I am really excited about this nacho idea from ifoodreal. No one has ever stepped away from loaded nachos like that complaining of still being hungry. And I think you could downplay the cheese and load on more veggies and not have to feel too terrible about yourself at the end. If we go to Chipotle, I always get a burrito bowl, but I have never thought to make them as an actual meal. 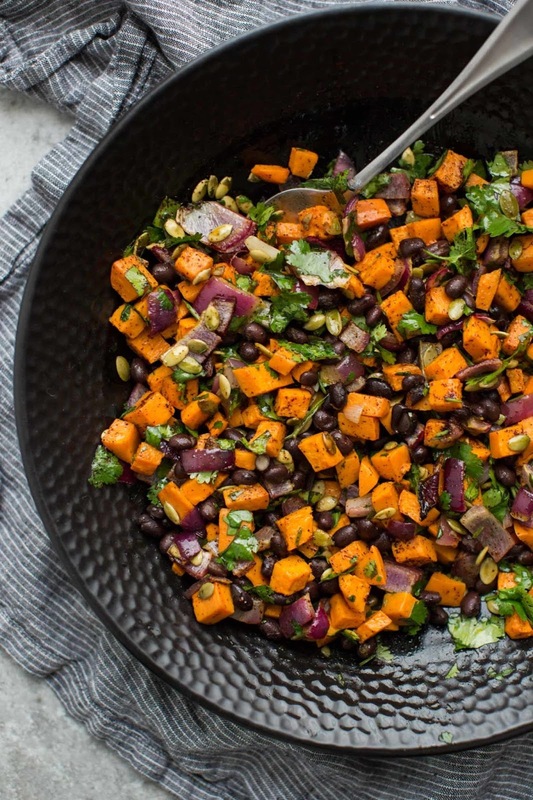 But this recipe from joyful healthy eats looks really hearty and delicious. I think we would do it with even more salsa! I tend to like black beans with really spicy flavors, because they balance out really well. I think this spicy soup from The Glowing Fridge looks so gorgeous. I mean, look at a l those ingredients- it basically has to be good. 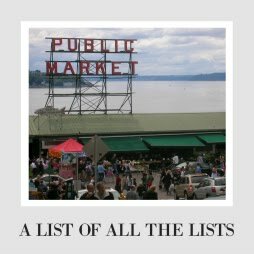 The other perfect placefor black beand? Chili of course! No one will even notice that the meat is gone. 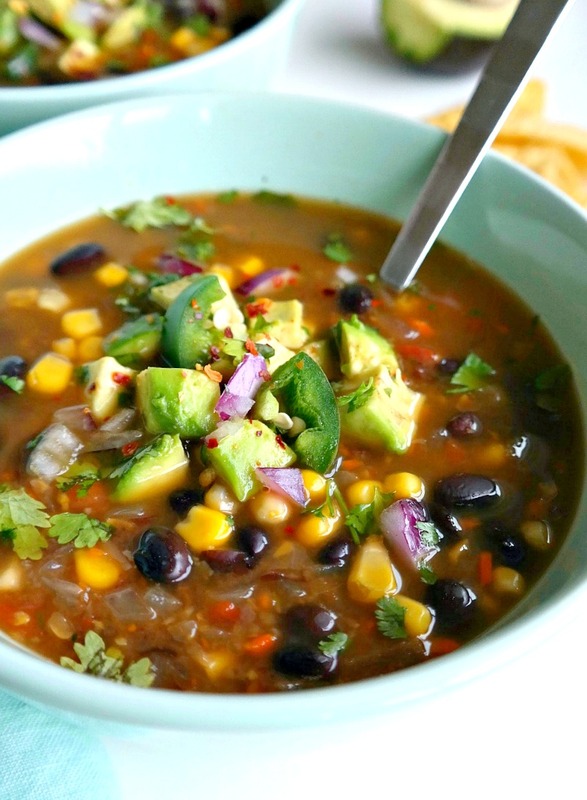 We have served veggie chili at parties before and usually people love it. I don't think ours has a real recipe (the "just throw some stuff in" method) but here's a good one from The Veg Space. 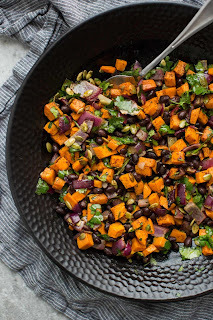 This black bean and sweet potato salad from Naturally Ella looks totally out of my comfort range, but maybe delicious. Definitely filling. 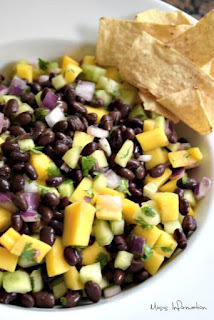 If I am going to have a black bean salad, I want it to be with something really sweet like mango like this one from Miss Information.. Never would have thought of it, but now it makes perfect sense! Ok, no joke, I am off to eat some Black Bean quesadillas. 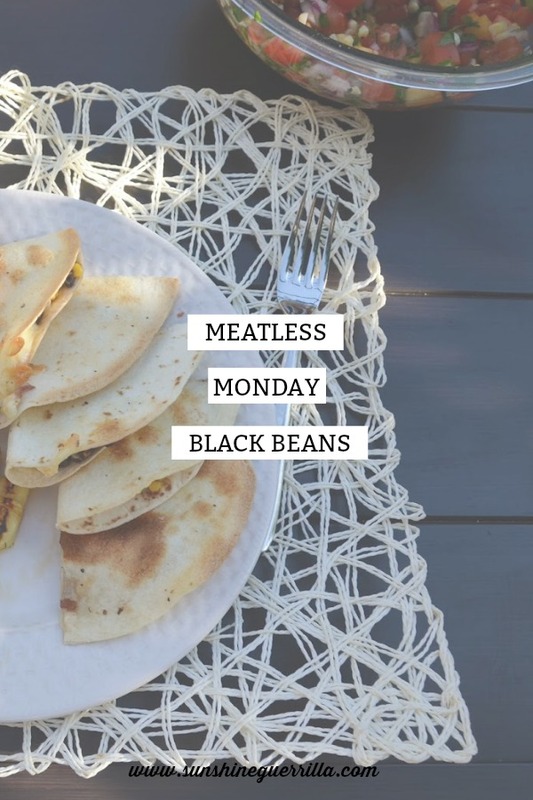 We love meatless monday in this house! Cutting more and more meat out of our diet. Have you tried Meatless Monday yet? How is it going? Oh gosh, I love black beans so much! They are one of my staples in my pantry. I never thought of a burrito bowl as an actual meal either, but it sounds very tasty! I love black beans! I'll admit we usually have some sort of meat paired with it, but it's not really necessary as the beans can be so filling on their own! Personally, I love burrito bowls as a meal. I've been doing those a couple times a month for a while. This is great! 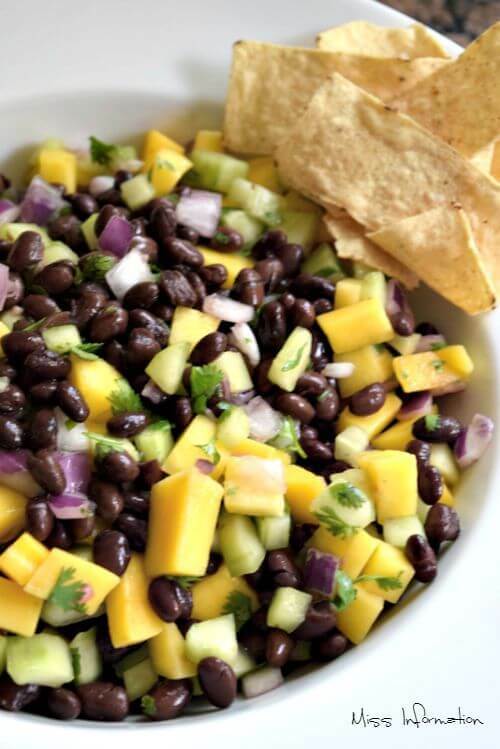 Changing up to a meat free meals can be great all around! 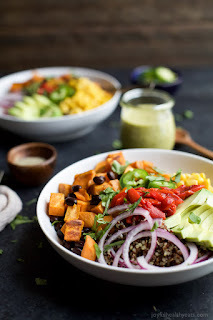 I actually love burrito bowls as a meal, wither with or without meat. Black beans in tomato gravy, with onion and pepper and salt taste awesome , we try to have it once a week. Great Monday recipe from your end, shall try making your version.